If you’re in the mood for a show, or looking for the perfect date night, nothing beats a night at the theater. Whether it’s an old-school Broadway style set-up, or an experimental cutting edge company, Missouri has a show for every taste and an experience for every style. 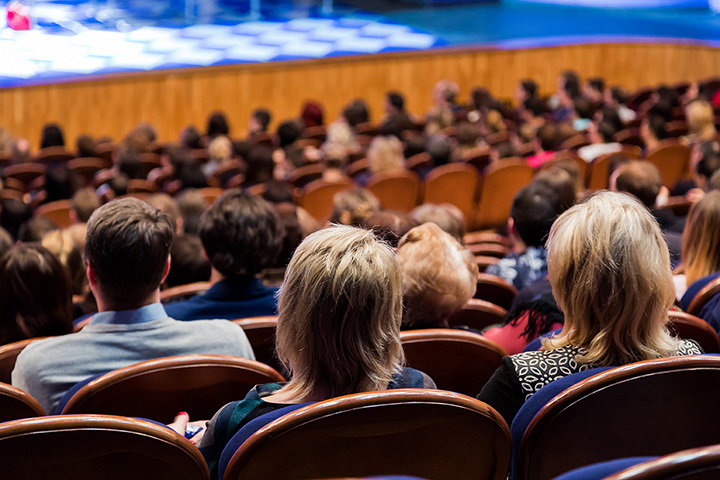 Here are our 10 favorite places to see live theater in the state. People in small towns get tired of everything happening in the cities! Though it was only founded in 2012, MVCT’s commitment to professional quality shows has led to it blossoming not only into a popular small town theatre, but a regional one, with cast and crew coming from up to a hundred miles away. If you’re ever in Southwest Missouri or the four-state region, stop by and enjoy a high-quality performance. Springfield Little Theatre has been in downtown Springfield for more than 75 years, and in that time, it has grown from being a community theatre to one of the region’s most important centers for performance education. Between classes, Youth Troupe, and scholarships, SLT makes its mark preparing current and future performers to carry on its traditions. They call themselves “The Crown Jewel of the Ozarks,” but there’s no better place to experience the best shows in the region. Founded in 1928, Stone’s Throw is one of the oldest continually-operating theatres in Missouri. It is unique in that it always serves dinner with its productions, so patrons can get dinner and a show for the price that most theatres charge for just the play. Newly-renovated space makes an evening out delicious, comfortable, and entertaining. Like so many of the grand old playhouses, the Fox Theatre was built to show movies. In our era of cookie-cutter movie theatres, but when that was no longer sustainable, they were turned into more traditional live performance theatres. The Fox is one of the most stunning of these, with its soaring ceilings, Art Deco lines, and red and gold decor. It hosts Broadway touring companies of popular musicals, so that even in the Midwest, we still get the best shows. The Lyceum was born 50 years ago when two Baptist congregations merged, leaving one of their churches empty. Two couples bought it, then donated it to the city to be used to start a theatre. It worked well for 25 years, then a new director wanted to expand to a larger, 400 plus seat facility. The old church/theatre became the vestibule, and a natural looking addition was built. Since then, the Lyceum Theatre has performed not only stage plays, but large-scale musicals, which attract audiences, cast, and crew to them from all over the region. For over 50 years, the KC Rep has been the professional theatre in residence at the University of Missouri, Kansas City. Theatre students work side-by-side with professional directors, actors, and designers in a laboratory setting, staging the works of rising playwrights, as well as mainstays of the American stage. Famous throughout the Metro area for its Youth Summer Theatre Ensemble, as well as its annual Christmas plays, the KC Rep connects the community through quality productions and educational programs that entertain, challenge, and inspire. Bluff City Theatre is the newest theatre company on the list, but they are already making a name for themselves in Missouri’s entertainment community. It is both professional and not-for-profit, meaning that it pays its staff but still accepts donations and sponsorships. It has an extensive educational offering, and is well known for its high-quality productions. Bluff City is one of several theatres in Missouri that prove that good quality live theatre isn’t limited to the big cities! Starlight Theatre has been a Kansas City landmark since the 1950s. Starlight has welcomed famous guest stars and TV productions such as the “Carol Burnett Show,” the “Jim Nabors Show,” and the “Jerry Lewis Show” (Mr. Lewis even spent his own money to extend the stage for his show!). Although the outdoor setting has been considered a limitation, renovations have made it so that neither the audience nor the performers are quite as beholden to the weather. It’s the perfect place to enjoy a summer evening! The St. Joseph Performing Arts Center is the home of many different cultural groups and expressions, from music to painting to textiles. One of those artistic endeavors supported is their theatre program. Both local and traveling productions make this a regional destination, and youth classes and programs help the Arts Association remain a vital part of the St. Joe community. The St. Louis Black Repertory Theatre is the largest professional African American theatre company in the nation. Founded in 1976, the Black Rep promotes diversity by exploring works by Black playwrights and composers, including not just American artists, but also Third World and developing country artists. It also has extensive youth training and education programs in acting, music, and technology. View more Missouri Theaters and Playhouses.